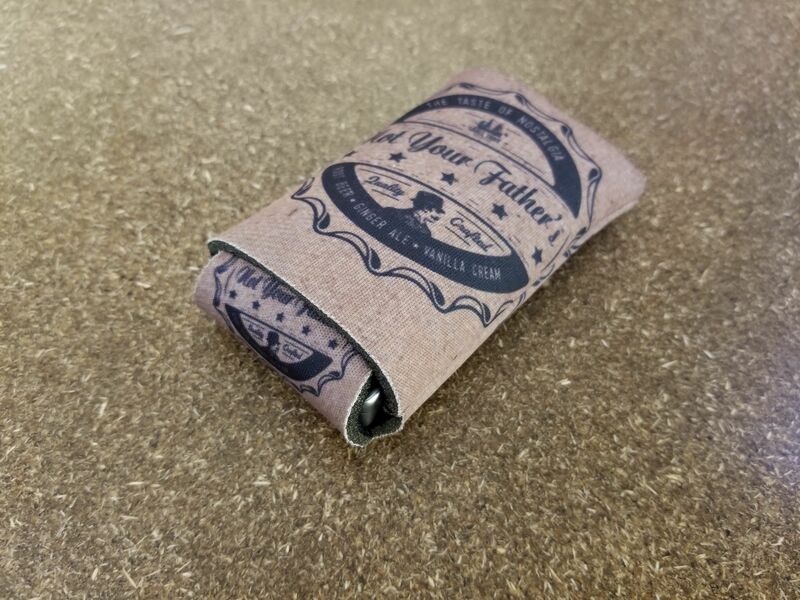 Several months ago I got a pair of Koozies, which have sat unused since then. 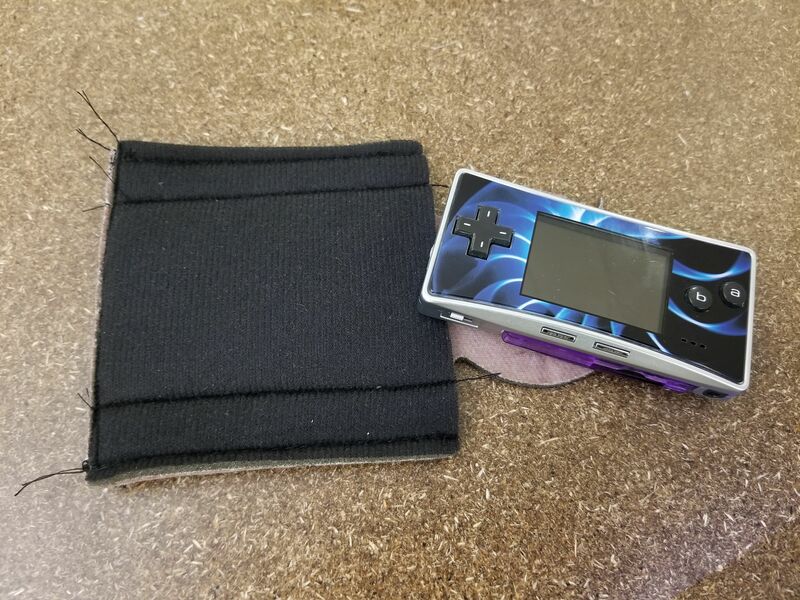 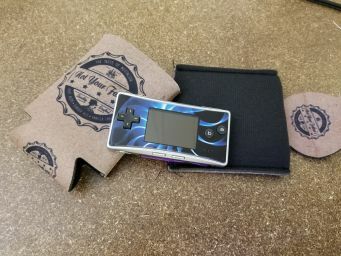 More recently I've pulled out my Game Boy Micro, which has no protective case, unlike most of my portable devices. 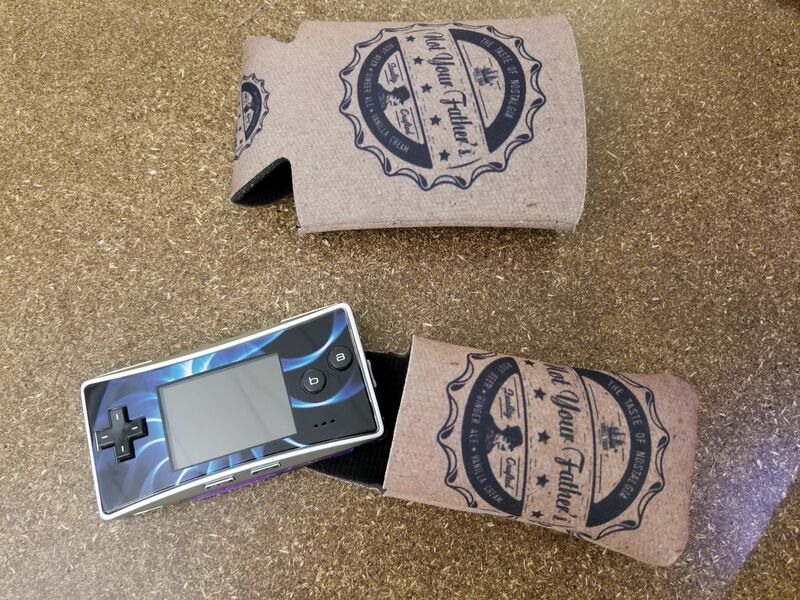 I realized that the Koozie was the right sort of material, soft and padded, and almost exactly the right size. So I cut one side of the bottom off, sewed closed the top, and sewed the sides in closer, to be the right size. 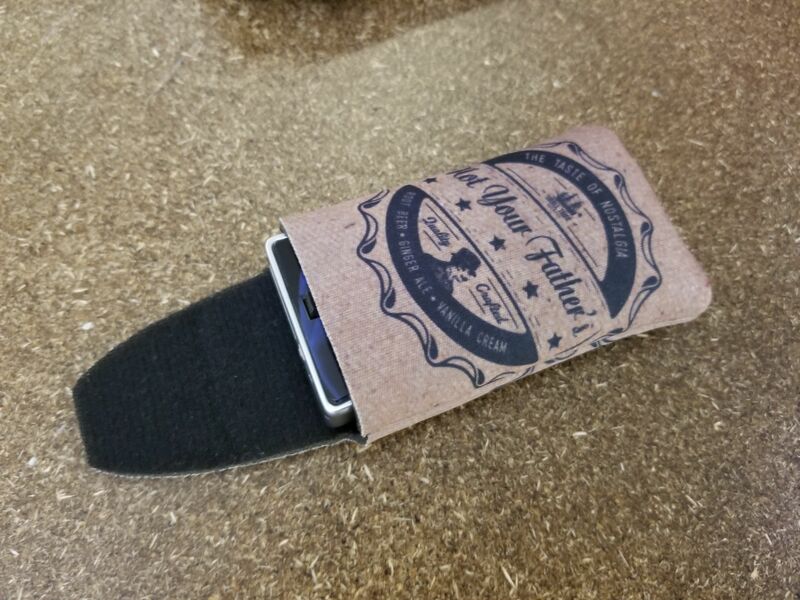 After flipping it right side out and confirming a good fit, I trimmed what was the bottom of the Koozie down, to be a flap which I can tuck in to cover the open side. It worked out quite nicely!